Looking for quick eats that will seriously satisfy? 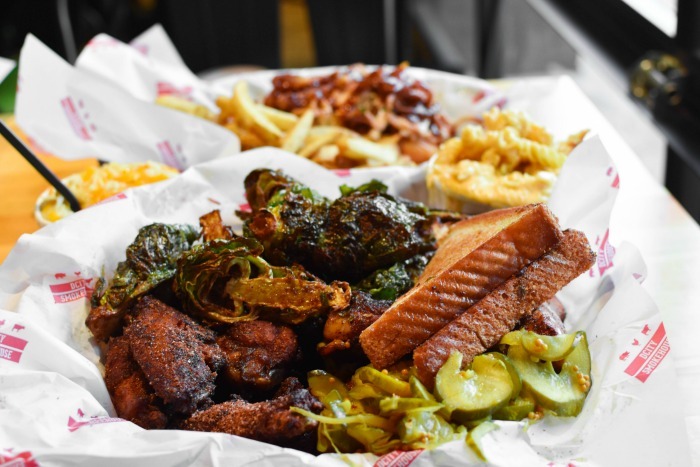 Well, you’re in luck because we’re talking about 5 fast casual restaurants in DC that will blow your mother-effin’ mind. 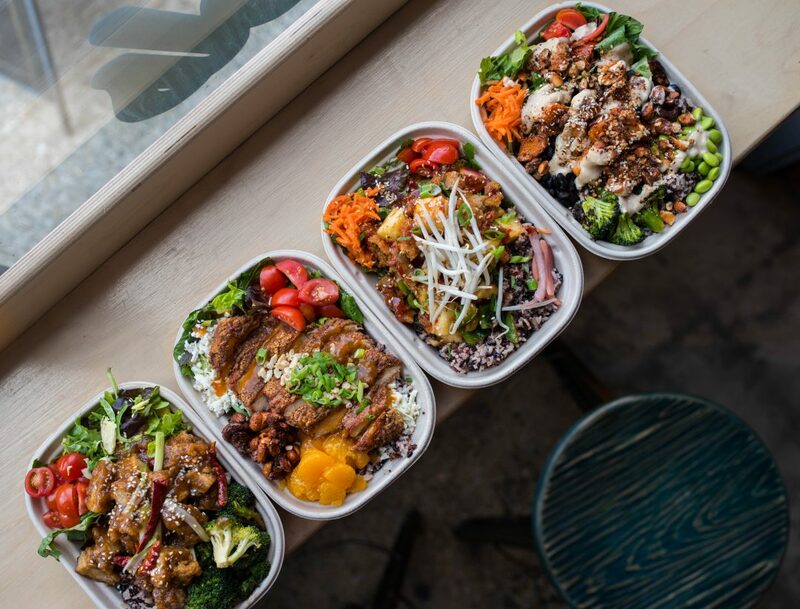 Continue reading for our top picks in the District, and make sure you bookmark this post because you’re gonna want to try them all! So, without further ado, let’s talk food! Who says clean eating can’t be delish? If you’re looking for wholesome yet nomtastic food that won’t break the bank, you NEED to try Teaism stat. They have three different locations in the District, but we’ve only been to the one in Penn Quarter. We have no doubt their other restaurants are bomb though! Located on 400 8th Street NW, they’re open from 7:30-10PM Monday-Friday and 9:30-9PM on weekends. Definitely make sure you try their Chilled Noodles & Avocado ($11.50), their Broccoli Tots ($5), any of their bento boxes ($13.25), their French Toast ($6 for 1, $12 for 2), and of course, their teas. For deets on the aforementioned dishes, click here! We wrote a dedicated feature on them a while back so that post should have all the info you need. Feel free to reach out with questions though! We’re always happy to hear from you guys. If you’re craving BBQ, DCity Smokehouse is the way to go. Seriously. You can thank us AFTER your stomachs are happy and full. Located on 203 Florida Avenue NW, they’re open from 11-11PM Sunday-Thursday and 11-12am Friday-Saturday. Must-tries include their Meaty Palmer ($12), their Smoked Wings Combo (1/2 dozen for $12, 1 dozen for $21), and their Fried Brussels Sprouts. Their Meaty Palmer contains turkey breast, pork belly, avocado, tomato, chipotle aioli and magic. It’s seriously one of the BEST sandwiches we’ve ever had, and we’re 200% sure you’ll love it, too. Now, their wings. Hot damn. These babies will leave you all sorts of satisfied. Their rub is everything good in life and then some! It’s actually why we love their brussels sprouts, too. They’re tossed in the wing rub and fried to crispy perfection. You can’t go wrong with anything you get here though so go wild. And don’t forget to get a side of cilantro ranch! Vegetarians and meat eaters rejoice! 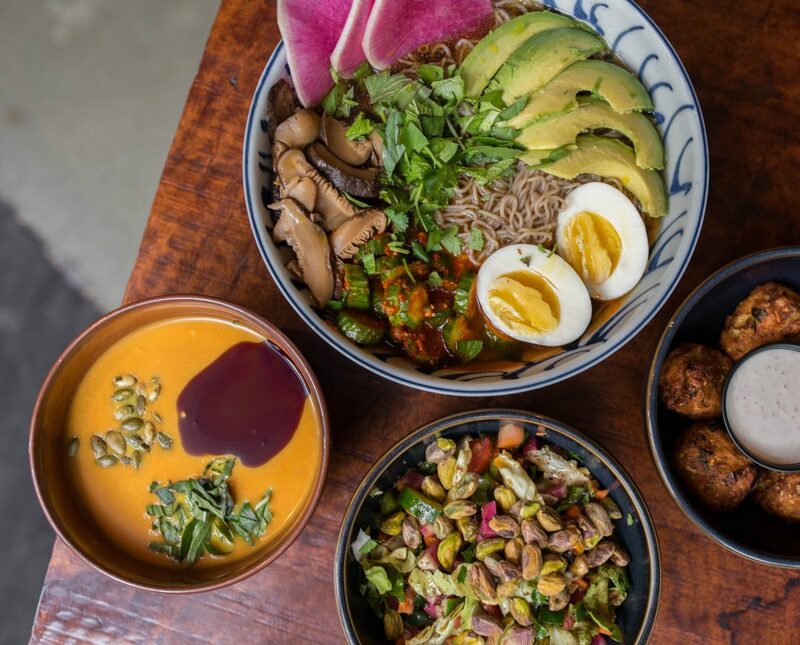 Pow Pow is an incredible plant-based eatery located on 1253 H Street NE. Their “meat” is SO good, you won’t even realize it’s seitan. Come here for their colorful bowls, giant egg rolls, and “mozzarella” balls. Chef Margaux Riccio’s “New Asian” cuisine won’t disappoint, and you’ll leave feeling completely and utterly satisfied. Make sure you get an order of their Trolley Fries ($5), their Taiwanese Fried Mozzarella ($6), their Wu Banger ($9 for a small, $11 for a regular), and their Natalie Porkman ($9 for a small, $11 for a regular). 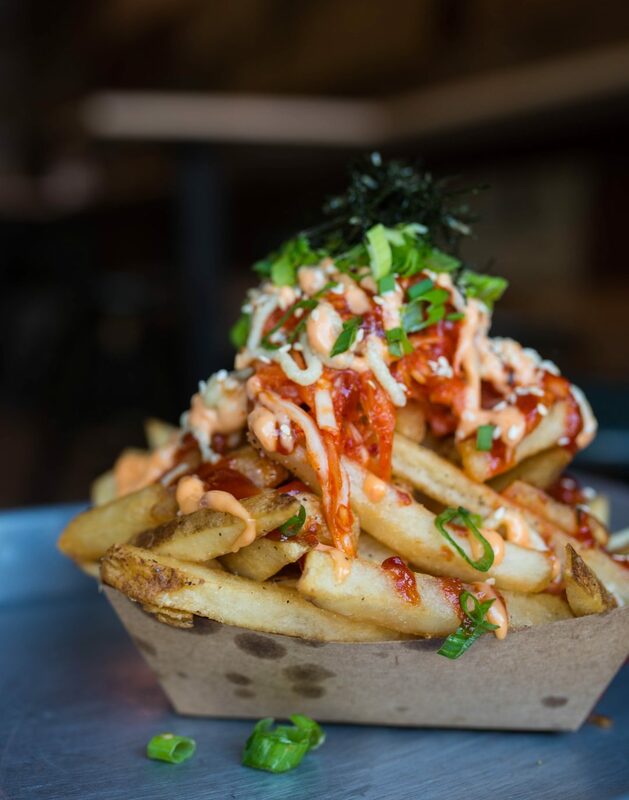 The Trolley Fries are skin on french fries topped with kimchi, nori, spicy ketchup, togorashi mayo and cashew cheddar, and they taste as good as they look! The Fried Mozzarella’s drizzled with spicy korean ketchup, and it comes out piping hot. The Wu-Banger contains orange plant-based fried chicken, soy feta, mandarin oranges, tomato and sriracha cashews with krispy rice, while the Natalie Porkman’s made with sweet & sour pork seitan, tomato grilled pineapple & green pepper, carrot, bean sprouts & pickles onion with scallions. Everything’s cooked fresh in-house so you know you’re getting quality in each and every bite. So, walk in with an open mind – “vegan” restaurants tend to get a bad rep – and know that whatever you get will be delicious because it will. Bon appétit, friends! We can’t even begin to tell you guys how much we love DCG. 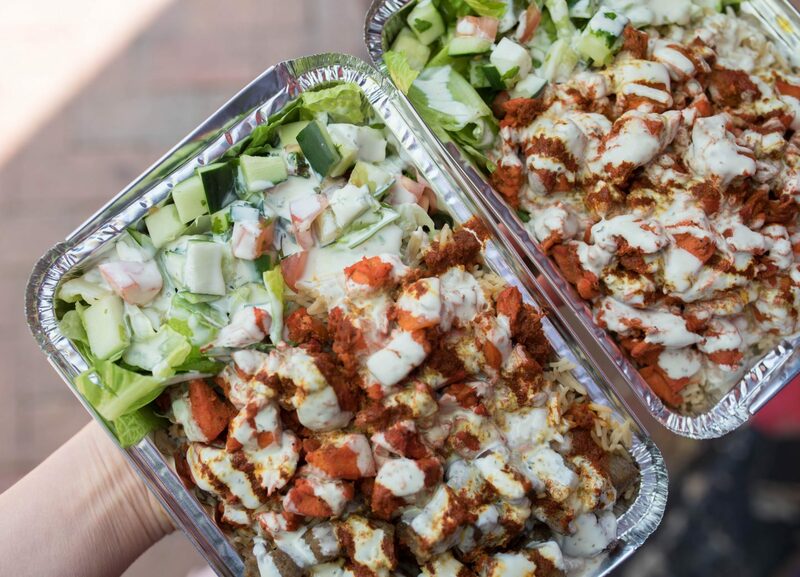 If you like Halal Guys, you NEED to try District Chicken & Gyro. Located on 3147 Dumbarton Street NW in Georgetown, they’re open from 11-10PM Monday-Thursday and 11-3AM Friday-Sunday. Their menu’s short but sweet. We recommend their platters but you can get wraps as well with the protein of your choice (chicken, gyro or falafel). If you go with rice – and yes, you should definitely get it with rice – it comes with a refreshing salad and is topped with copious amounts of white, hot and/or BBQ sauces. We haven’t tried their falafel yet, but it’s on our list for sure. Their combo (chicken + lamb) was delicious, and it was reasonably priced. The only con? The space itself is a bit small so you probably won’t want to dine in, but it makes for obscenely good to-go food so don’t let that discourage you from trying their noms. To read more about DCG, see their full write-up here! 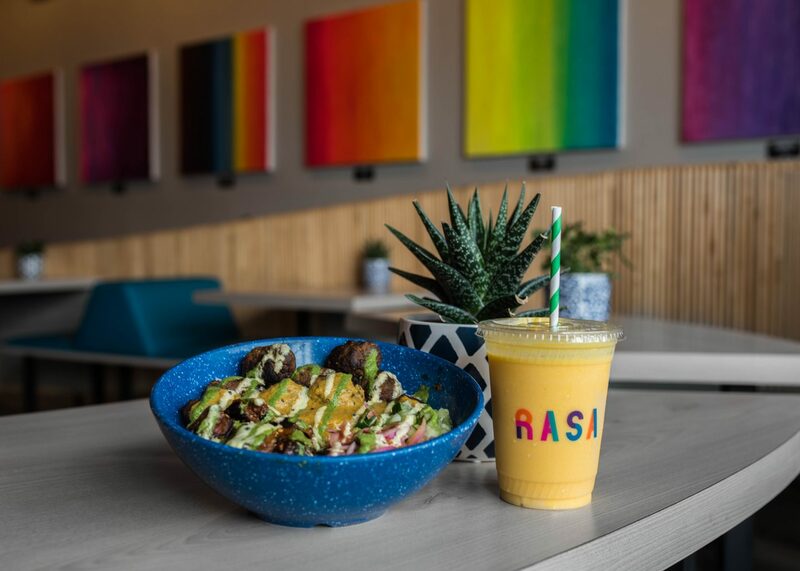 We know we literally just featured RASA on here a few weeks back, but we had to include them on this roundup because they are fast-casual done so, SO right. 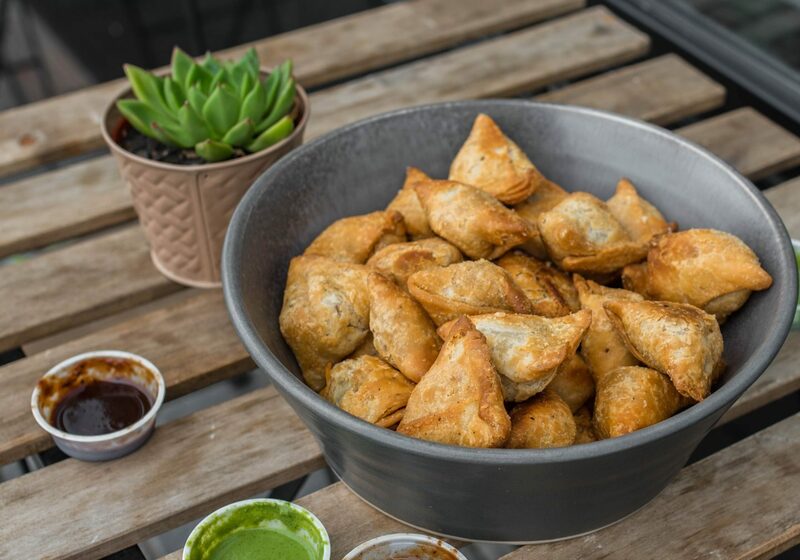 Located on 1247 First Street SE in the Navy Yard, they were founded by two childhood friends: RAhul Vinod and SAhil Rahman – get the name now? Think of them as Cava…but with Indian food. They have several pre-made bowl options ($9.32) available, but you can customize however you please. You can read all about their noms HERE, but we’ll give you a quick rundown if you’re in a hurry. Basically, you pick a base, a protein, a sauce, a veggie and choose from a slew of toppings (unlimited) like dehydrated bitter melon, kachumber salad, masala beets and more. Their Open Sesame bowl ($11.17) is our favorite, but their Aloo Need is Love ($9.32) comes close. They have a bunch of vegetarian options so there’s something yummy for everyone! Also remember to get a side of garlic naan and a mango lassi because YOLO. Alright Nomsters, that’s a wrap for today! We hope you enjoyed reading about our favorite fast casual restaurants in the Capitol. We update our blog every Monday and Thursday so make sure you check back soon! In the meantime, browse THIS tab for more foodporn in the District. Until next time, friends. Previous Post The Ramen Bar: New Happy Hour Menu!